Do you have trouble picking out fabrics for your home decor projects? Are you unsure about which fabric patterns go together? My FREE ebook will help you to mix and match fabrics like a pro! 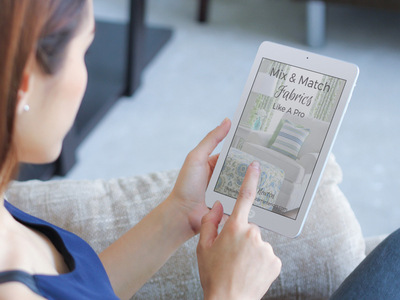 Subscribe below to get your FREE Mix & Match Fabrics Like A Pro ebook! You'll receive our home decor newsletter, and will have instant access to the free ebook.